Angular model Vacuum box test units for specially made for testing the Inner shell to bottom weld joints on tank. We manufacture standard 600 mm size ANGULAR/CORNER MODELVACUUM BOX TEST UNITS to suit all sizes of tanks from 10 m Diameter. 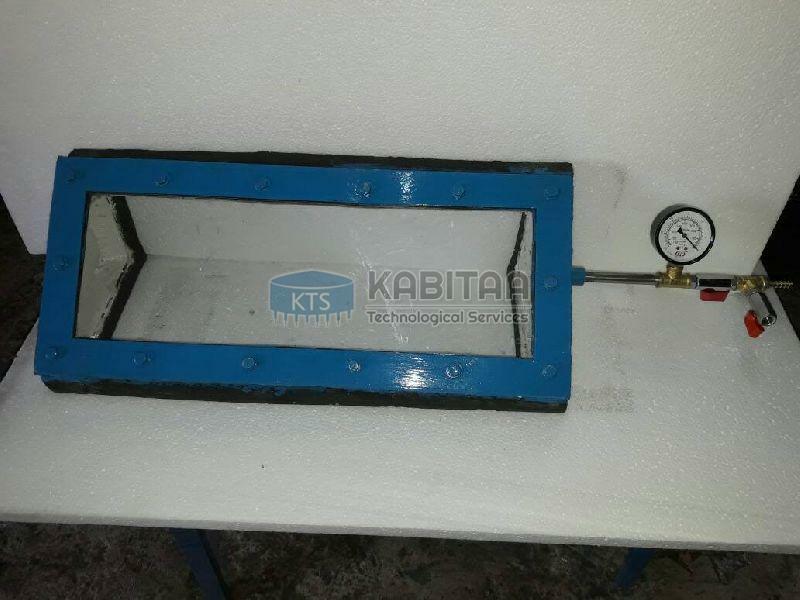 These Vacuum box test units are triangular shape and sturdy MS body construction, easily portable and provided with plain clear see through acrylic cover and rubber base for proper tight grip to the vertical and bottom surface. Each box is tested thoroughly in test bed at our workshop before final painting and dispatch.